just when you think the weather is perfect, lightning strikes. and just when i thought i was going to finish tonight’s practice without a hitch… blot happens. aargh… i’ve tried saving it by carefully blotting the excess ink but that made matters worse. 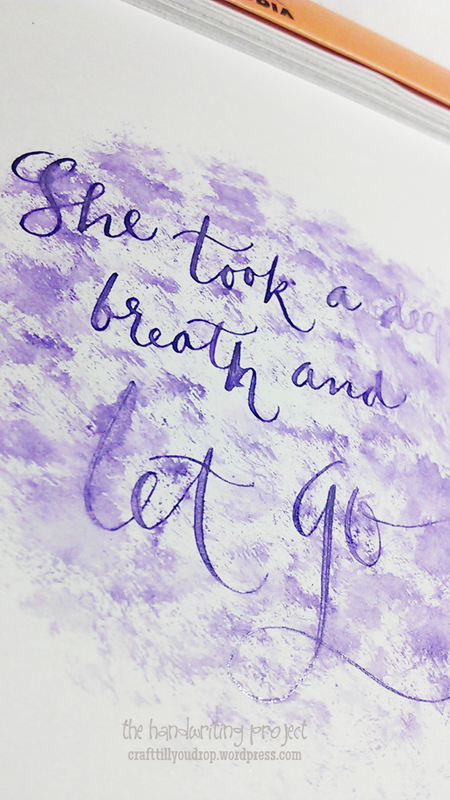 So, i just took a deep breath… and let go. 30 of 365. tachikawa G nib, violet indian ink on rhodia paper. that’s sweet of you. keep writing 🙂 thank you.